The OnePlus6 & 6T which offer essentially the same camera and high fps component are in the running for our slow-motion phone of the year along with the close competition from the Samsung Note 9 and Galaxy S9. However, the usefulness of the OnePlus 6 devices with much more recording allowance is a very big differentiator that in reality should impact your purchase decision much more than 960fps. 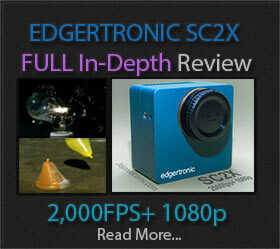 Previous PostFran 8k Camera Line is Announced!Next Posti-SPEED 726 Becomes Fastest HD Slow Motion Camera Today! When you stop the YT clip for close inspection at several moments and look at the boundaries of moving objects there seems to be a blurry layer. In contrast to 0:35 sec when the guy is pushing a drink towards you, then everything seems to be sharp. 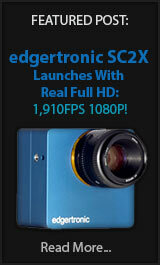 Anyway I am happy to see that the 480 fps slow motion technology for devices under $1000 is catching up. That blurry frame is probably caused by the Youtube keyframe interpolation for h.264 encoding. If the phonecwas interpolating frames we would see this on every couple of frames as garbled ghosts. Good catch Klaus. Good to see phones getting more serious with frame rates.